This is the second in a series of posts we’ll be running through December to help you find great deals on tickets across sports, concert, and theater events. Tickets make a great gift, and who doesn’t want to save a little money while spreading holiday cheer? There are several great deals for NFL tickets around the league. 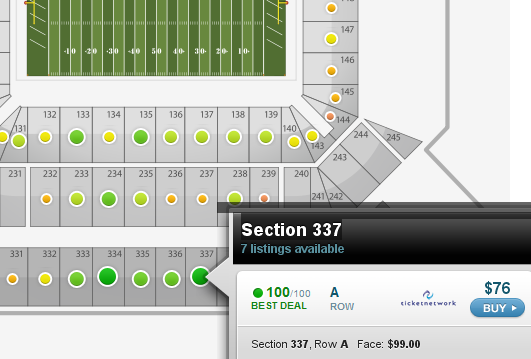 Tickets for seats that are in the lower levels and tickets near the 50-yard line are actually listed in the secondary market for less than face value. Let’s take a look around the league to show a few examples. New York Giants at Green Bay Packers on December 26, 2010 at 3:15 pm – The Packers and the Giants are two of the top teams in the NFC and this game can have playoff implications. 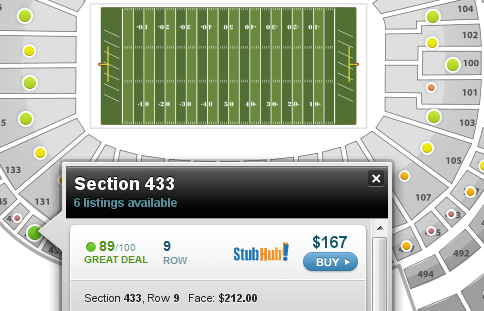 Section 433, Row 9 – Face value for these tickets is $212 and they are listed for $167. These tickets are for club seats with several amenities and benefits. Seattle Seahawks at Tampa Bay Buccaneers on December 26, 2010 at 1:00 pm – The Seahawks are tied for first in the NFC West and Tampa Bay is sitting at 7-5. 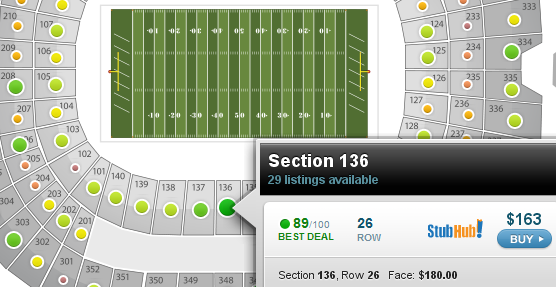 Section 337, Row A – Face value for these tickets is $99 and they are listed for $76. These tickets are in the first row of the upper level located around the 30-yard line. Carolina Panthers at Atlanta Falcons on January 2, 2011 at 1:00 pm – The Carolina Panthers have been struggling this season but the Atlanta Falcons are at the top of the NFC with a 10-2 record. The Falcons are just one game ahead of the New Orleans Saints in the NFC South and this final game of the season against the Panthers could be the difference between making the playoffs as a wild card or as the NFC South Champions. 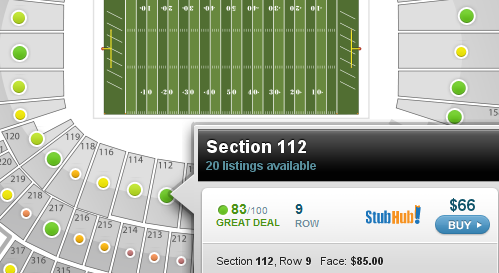 Section 136, Row 26 – Face value for these tickets is $180 and they are listed for $163. These seats are right around the 50-yard line and only 26 rows from the field. San Diego Chargers at Cincinnati Bengals on December 26, 2010 at 8:20 pm – Terrell Owens and Chad Ochocinco are fairly entertaining and the Bengals have potential to show up and surprise the Chargers. This game can be huge for the Chargers as they are making their late season push for the top spot in the AFC West. Section 226, Row 7 – Face value for these tickets is $65 and they are listed for $23, just 35.4% of face value. These seats are in row 7 of the upper section behind the end-zone. Section 112, Row 9 – Face value for these tickets is $85 and they are listed for $66. These seats are right around the 25-yard line and only 9 rows from the field. 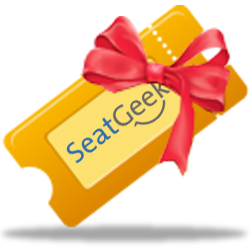 Take a look at the NFL tickets in your area and let us know about the tickets you got a great deal on in the comments or on Twitter @SeatGeek.